Aviation - Since 1985 aviation has been part of my life, and I've logged over 2,700 hours in over 20 different types of aircraft. I hold ATP (ME), Commercial (glider and SEL), and CFI tickets. I learned in a Cessna 150, and briefly had possession of a Piper PA28-140 Cherokee. Coming out of graduate school, I joined the military and spent 10 years as the only Company Grade Ph.D. pilot in the Air Force (Fall 2004, there were 3 PhD pilots, and as of 2008, searching here shows 1.4% of the officers have PhDs). A fter a year of pilot training in the Cessna T-37 and supersonic Northrop T-38, I flew the Boeing KC-135, (I flew the A, T, R, and Q variants; R model variant pictured here) on world-wide missions under the Strategic Air Command and Air Mobility Command. While stationed at the Air Force Academy, I instructed cadets in basics of airmanship and flight skills using the TG-7A motorglider. I flew the KC-135 E-model with the Air Force Reserves for an additional year after separating from Active Duty. I missed aviation, so I joined the Sandhill Soaring Club, flew a Bellanca Scout and Piper Pawnee tow planes, and sometimes did commercial glider hops. Summer of 2002, I moved to the Mojave desert of southern California and assumed duties as a Flight Test Engineer on the Airborne Laser project. This was by far the most sophisticated Directed Energy program in the world. The Airborne Laser is a 747-400 airplane with a "Megawatt class" chemical laser (specific details are classified) designed to shoot ballistic missiles out of the sky before they finish the boost phase of launch. This is almost "Star Wars 101"; who knows where this technology will be 100 years from now! 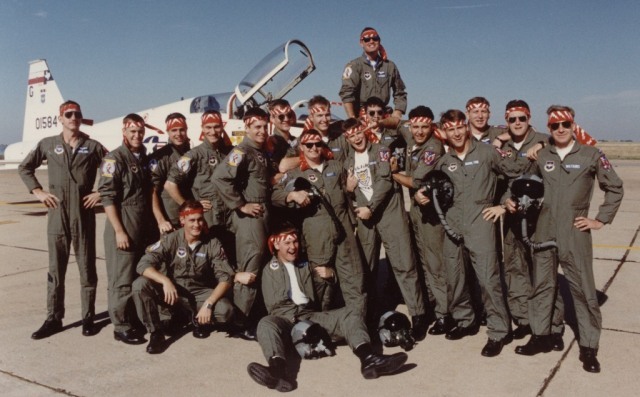 While living in California, near the epicenter of aviation research and development, I attended Flying Qualities and Performance class at the National Test Pilot School, and took a job supporting the Air Force Flight Test Center, Electronic Warfare Directorate. I performed analysis, architecture design, development, testing and evaluation for high energy lasers, high power microwave, and newly emerging directed energy systems. I worked with customers and program engineers to refine system test and evaluation plans, and develop internal processes that will produce the intellectual and physical infrastructure to support our nation's directed energy programs during the next decade. Recently, most of my time is spent as an instructor at the USAF Test Pilot School, and with duties at the 412 Test Wing Operations Group Standards & Evaluation office. 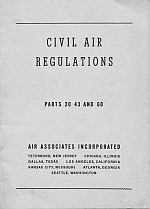 Regulations, From Whence they Come - Cleaning a garage, I came across an original copy of the 1945 Federal Aviation Regulations . Actually, they were the Civil Air Regulations back then. What is now FAR Part 61 Certification: Pilots, Flight Instructors, and Ground Instructors was published in 8 pages of Part 20 Pilot Certificates. What is now Part 91 General Operating and Flight Rules was published in two parts: 10 pages of Part 43 General Operation Rules and 8 pages of Part 60 Air Traffic Rules. Some things have not changed, such as right-of-way rules. Some things have changed during the past 67 years. There was no IFR flight back then, so the "+500" cruise altitudes were allocated to NW and SE bound traffic. Cloud clearances were mostly the same except it was 500 feet above and below the clouds (now 1000 above and 500 below). "Special VFR" existed, but it didn't have a name; it lived as an asterisk footnote below a table on page 20: "If traffic conditions permit, a control tower or control center will issue a traffic clearance when the minimus are less than those specified, but under this provision the flight must remain clear of clouds." You can download a pdf copy of the entire documet (5.3 MB) by clicking on the thumbnail image above. 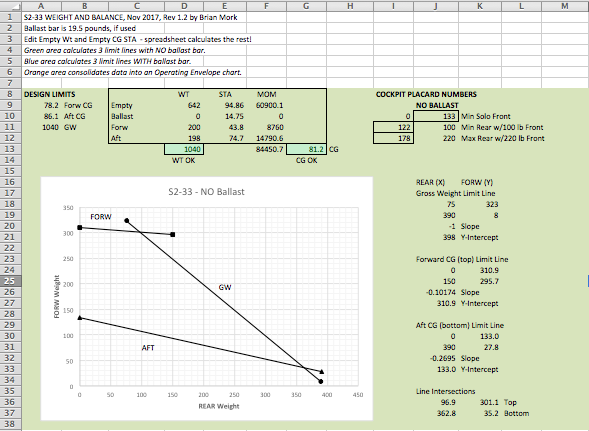 This took about 8 hours of my time to cleanly reproduce the downloadable pdf. If you feel so inclined, please drop me a paypal dollar via services (at) increa.com. Experimental Home-built Aircraft Comparison - Since 1982, I've been involved with the home-built Experimental class aircraft community, and have watched early individual pioneers grow an industry. I worked with Mustang Aeronautics (Midget Mustang and Mustang II) as a newsletter editor, educator, and test pilot. Between work and family commitments, I'd love to building my own Mustang II. The RV, Falco, and GP-4 are similar, and I'd be happy to correspond with anyone deciding between them. Then there's the amphibian interests that keep surfacing :-) Perhaps a Volmer VJ-22 could be in my future. Configuration Tailwheel fixed, side-by-side Tailwheel fixed, side-by-side Tri-gear retract, side-by-side Tailwheel retract, side-by-side Amphbious hull, tailwheel side -by-side. Aeronca Champ wing. Heritage Bill Bushby 1960s design, rights purchased by Chris Tieman. Modular kit, or plans. Designed by Richard VanGrunsven. Italian commercial designer, Stelio Frati. Rights by Alfred Scott ca. 1990s. Modular kit. Designed by George Pereira, some 40 years experience. 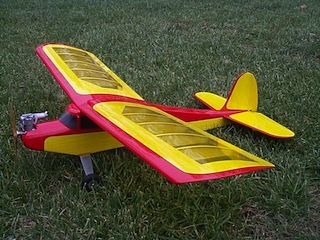 Prototype was 1984 EAA Grand Champion Custom Built and Outstanding New Design. Volmer Jensen in 1958. Weight Load @1800GW, 1300EW, 300lb pax, 32lb luggage, 24g fuel. 400lb pax, 74lb luggage, 52g fuel @1800GW, 1150EW, 350lb pax, 146lb luggage, 22g fuel. Engine, Fuel Burn Lycoming 320, 8-9 gph. 39" wide cockpit, stiff gear, folding wing option. Vintage Model Airplane Plans from R/C Sportsman magazine. Let me know what you need. 1978 Jan R/C Sportbipe (.049) by Jack Headley; Feb Dave Long's Midget Mustang (.40) by Hal DeBolt; Mar Peppermint Pattie (.15 pattern plane) by Walter Damuck; Apr Jonathan Van Pigeon (.049 experimental coupled tail) by David Zapotowski; May Denise (electric yacht) by Walter Muscino; Jun SuperHawk (.60 pattern) by John Williams; Jul Minimoustang (.049 pattern) by Ken Willard; Aug Hiperbipe SNS-7 (.40-.60) by Rank Massa, s/a pg3 Oct 78 RCS; Sep Rattler Mark III (twin .049 race boat) by John Rushing & Randy Chronic; Oct Crown (.61 pattern) by Pavel Bosak; Nov Bleriot XI-2 (0.45 scale) by Frank Curzon; Dec missing. 1979 Jan Kraft Super-Fli (.40) by Gerry Nelson; Feb Torrent (.40-.60 pattern) by Pavel Bosak; Mar Mr. Smoothie (.049 pylon racer) by John Grigg; Apr The Champ (.020 trainer) by Jack Headley; May Albatros D.II (.45-.60 biplane) by Hoyt Vegh; Jun Centron (flying wing glider) by Bill Evans; Jul Chickadee (.15 trainer) by Bill LaRue; Aug YF-40 (.40 pusher canard) by Bruce Knox; Sep Buccaneer (134" sailplane) Part I by Ross Woodcock; Oct Buccaneer (134" sailplane) Part II by Ross Woodcock; Nov Surcouf (electric submarine) Part I by Geroge Bofysil; Dec Surcouf (electric submarine) Part II by George Bofysil. 1980 Jan Live Wire Champion Mk III (.15-.35 trainer) by Hal DeBolt, plans also available from the AMA archives. Subscribe to the Yahoo Sugar Springs Airstrip group by entering your email and pressing the purple button. I'm the moderator. Come join us! This page is maintained by Brian Mork, owner & operator of IncreaTM // It was last modified September 2017. Suggestions for changes and comments are always welcome. The easiest way is to contact me via e-mail.